It's been a long time since I've done a FREEBIE FRIDAY! So let's take care of that and give something away. Heather was a delight to meet. Isn't it funny that inspiration comes for the most ordinary things. Just leave me a comment and tell me what gives you inspiration? I'll use the random number generator to pick a winner next Saturday, November 21st. It's open to anyone, I'll even ship internationally. If you see my baby sister Jacque, tell her Happy Birthday! Today is her birthday. I won't tell you how old she is but I will tell you she's 8 years younger than I am. HAPPY HAPPY BIRTHDAY JACQUE! Here's to many more! What inspires me most is nature. Taking long walks and seeing the colors that Mother Nature has put together makes me see things differently when I get back to my sewing room. I tend to get stuck in my color choices, but knowing that nature has a way of combining unusual colors gives me a new look! My little girlies and sewing/quilting blogs are my main inspiration. I'm such a copycat, but there is so much talent out there, it's easy to find inspiration. Thanks for the sweet giveaway. Color and fabric give me inspiration. 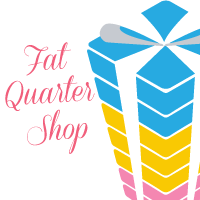 I have a big stash and some times I'll spend hours just looking through it remembered all the pretties waiting for me and then bam I remember a pattern I've seen or purchased that would look perfect in that fabric and I am on my way doing my favorite thing. 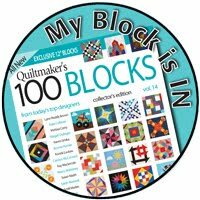 I'm just getting into to modern quilts and that book looks like something I need to check out even if I don't win it from you. My little sister is 8 years younger than me also. I remember having to take her everywhere with me when I was a teenager and hating it. Now I take her with me on fabric hunting road trips. lol I'm inspired by just about anything, buildings nature, colors, the weather, animals, seasons even advertising packaging. Is it odd that I see quilt patterns everywhere I look? The book looks wonderful and thank you for the chance to win it. 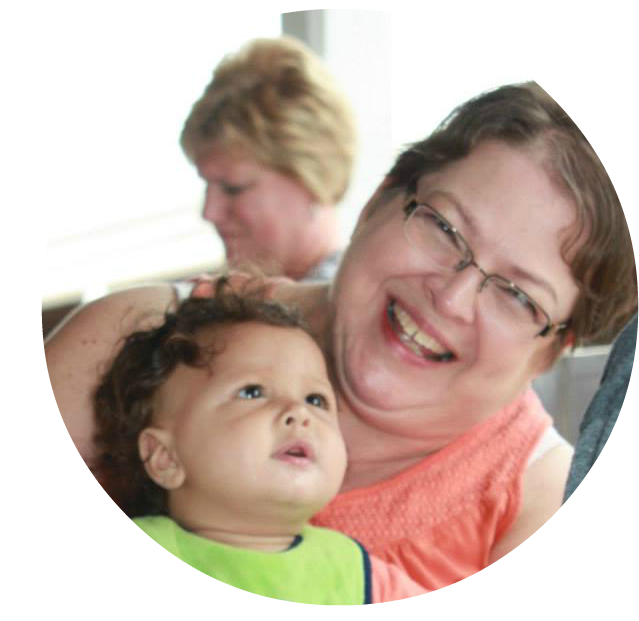 I get inspiration from "quilty" friends both in person and in blogs! Thanks for being both to me. I get inspiration from nature and google images! I'm trained in design so I get a lot of inspiration from seeing a problem and trying to find a solution, I love it when friends challenge me with a difficult brief! Happy Birthday to your sister. I love books and only have a few at the moment. This looks wonderful. I get a lot on inspiration from other blogs I follow, nature, color, LOL well the list just goes on and on. Seems like a lot of things I see jumps into the minds part of quilting. Happy Birthday to your sister Jacque! 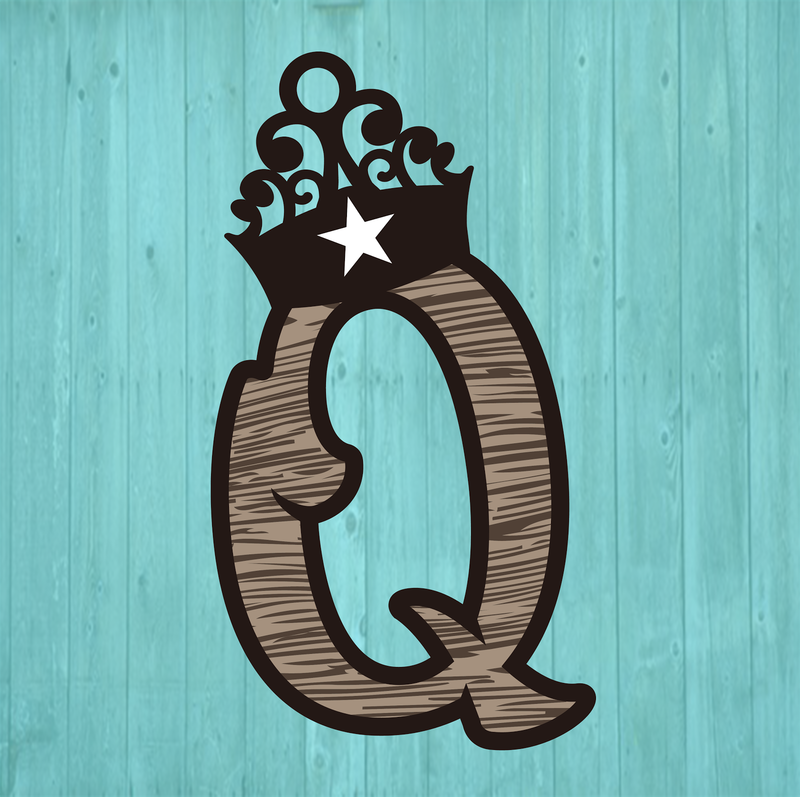 There is so much inspiration to be found online in quilting blogs! I find myself being inspired by so many things - iron work, tiles, clothing patterns. Happy birthday to your baby sister!!! I get inspired by lots of things, but lately I 've been getting lots of ideas on Pinterest! 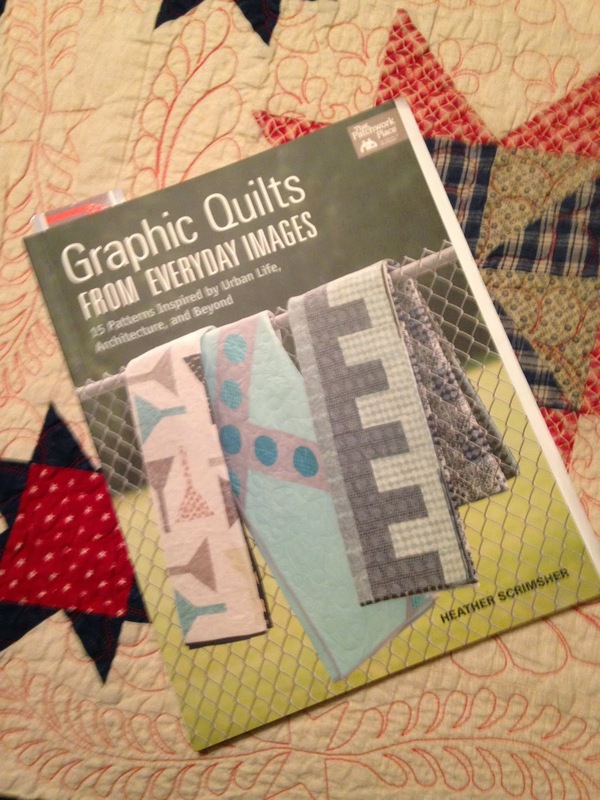 I love quilting books! 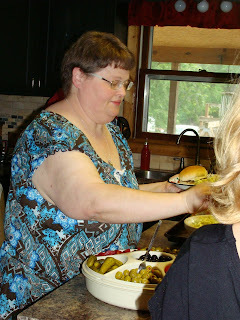 I hope your sister's birthday was wonderful! I get inspiration from quilt blogs, magazines, books, nature, my quilt guild's show and tell and from all those luscious fabrics. No wonder I will never in this lifetime get all my ideas into something tangible. My idea stash in my brain never seems to quit growing. Thanks for sharing. Architecture, nature, blogs, books, dreams and from the fabric itself. Looks like a great book - thanks for the opportunity to win it!! What a lovely book!! 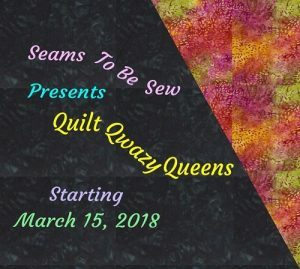 Quilting blogs give me inspiration! Inspiration for me comes from a walk in the woods. Birds, animals, flowers, bugs. They all make me want to sew. If that doesn't work I just read a few bloggers or Bing quilts. Happy Birthday baby sister! I'm inspired by the person I'm making something for and the fabric. My quilts are custom for whoever I'm making them for. Most recently soccer. Happy Belated Birthday Jacque! What an awesome giveaway! I'd love to go to market one day, I can only all the inspiration there. I love reading blogs, Pinterest and just being around creative people. Quilting blogs are my inspiration. 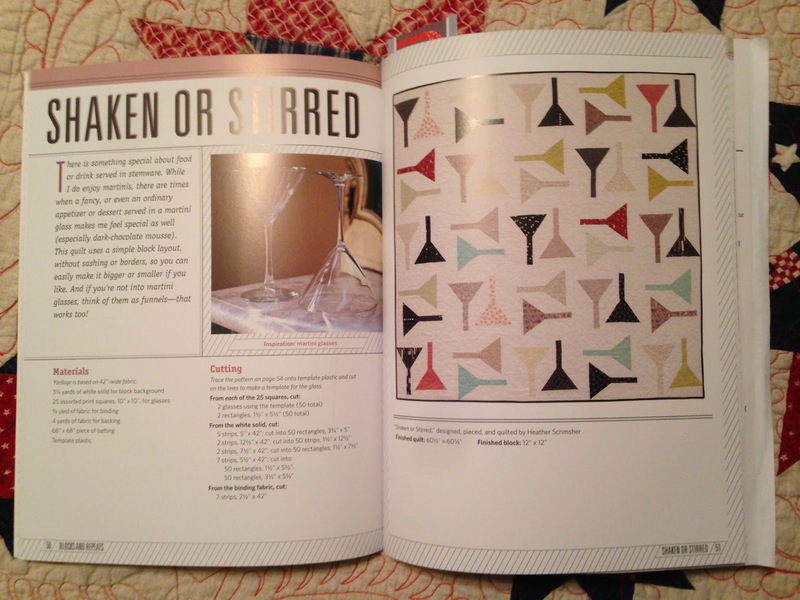 I love martinis, so I love that pattern! 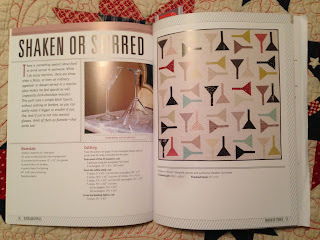 I get inspiration on quilting board, blogs, publishers, quilt shops. Fabric is so beautiful today. Lots of inspiration. 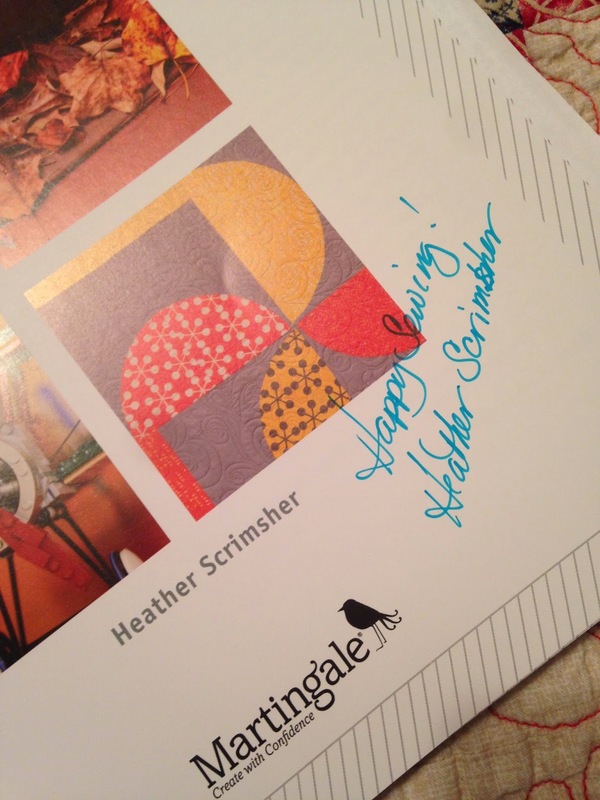 As a newbie quilter, every blog, photograph or book gives me so much inspiration. I'm always ready to read and enjoy the creativity of an experienced quilter so a new book would be very welcome! 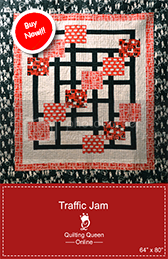 At the moment I'm inspired by some great quilts I'm seeing in blogland. My favourite ones at the moment are by Carolyn Friedlander! Happy Birthday to your lil' Sister! I get a lot of my inspiration from blogs or online searches, but some of my inspiration comes when I see quilts in my LQS. Very talented women who work there. I see some pretty awesome project on Facebook that inspire me. Seeing all the pretty eye candy on blogs gives me lots of inspiration! Happy Birthday Jacque, hope your b-day was great!!! I get inspired when I hear my fave 80's music!